One of the photos purchased at the competition. This past weekend, Grace danced in her first competition of the season. This was an optional competition for solos, duets/trios, and a couple of select small groups. Since Star Systems is a smaller competition than most of the others we usually attend, I thought it would be a good opportunity for her to get one under her belt before the main competition season starts. This was her first time ever competing with a solo, and she is competing in the Elite level (called Super Star at this competition). All week, and weekend leading up to competing, Grace went back and forth between being nervous, and excited. The juniors and one of our seniors competed Friday night, A couple of duets, mini/petite solos, and our hip hop small groups competed on Saturday. 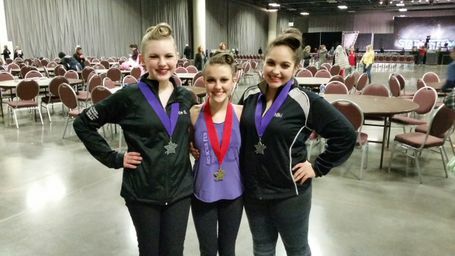 Grace and two other teens from Lake Area Dance Center (LADC) competed Sunday night. We did not go any other day, but Sunday. Results though, were great! Many platinum scores and overall placements were given to LADC dancers and groups. Two of our hip hop small group placed first in the overalls, something I have rarely seen! 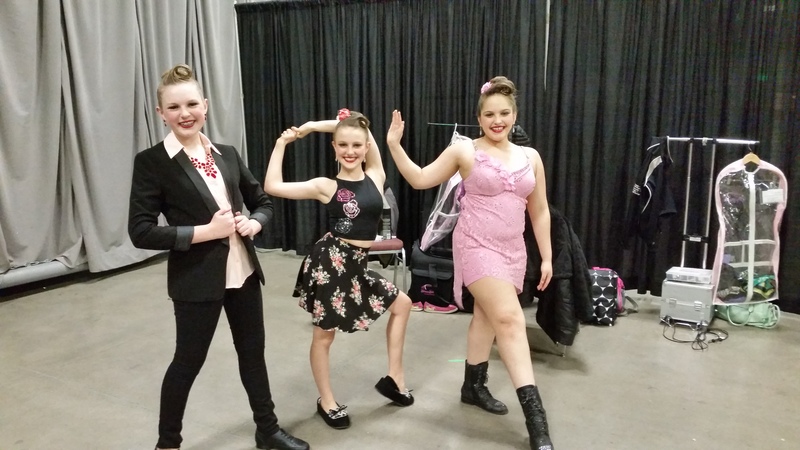 Grace, Paige, and Niki, all ready to compete at the Elite Level for the first time. We got to the competition at about 3:45 on Sunday, 3 hours before Grace was scheduled to dance. We had plenty of time to get her hair and makeup ready. I have to say, now that she’s older, and can do her own makeup, it’s kind of nice! I did her hair. From the time we got there, through the end of the night, it was ALL solos. The Shining Star (often called Recreational) division was going when we got there. 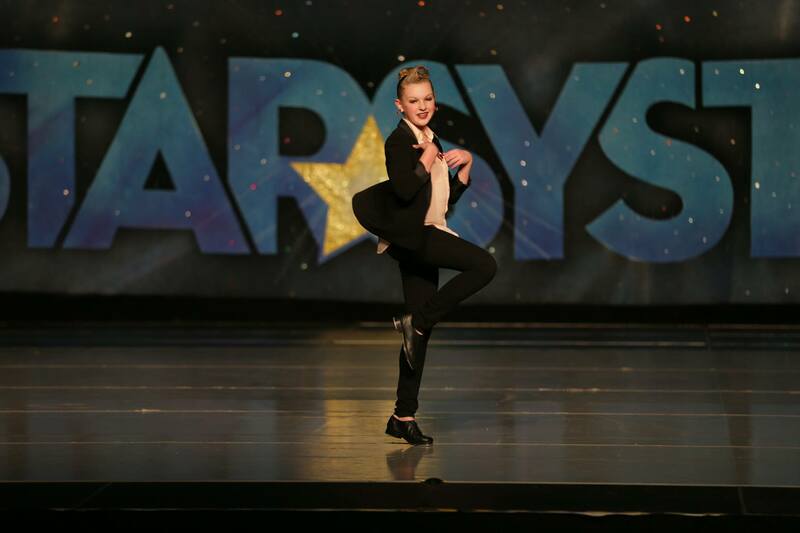 The solos continued through the Shooting Star (Intermediate) division in all the different styles… Grace’s solo is a tap dance, which started out the Super Star division. There were a couple of dances before her. The one immediately before her was a GOOOOOOD tapper (she ended up getting 2nd overall). Talk about making for a nervous Mama! We generally do not watch many solos, just those from our studio, if we are there on those days, or at Nationals. 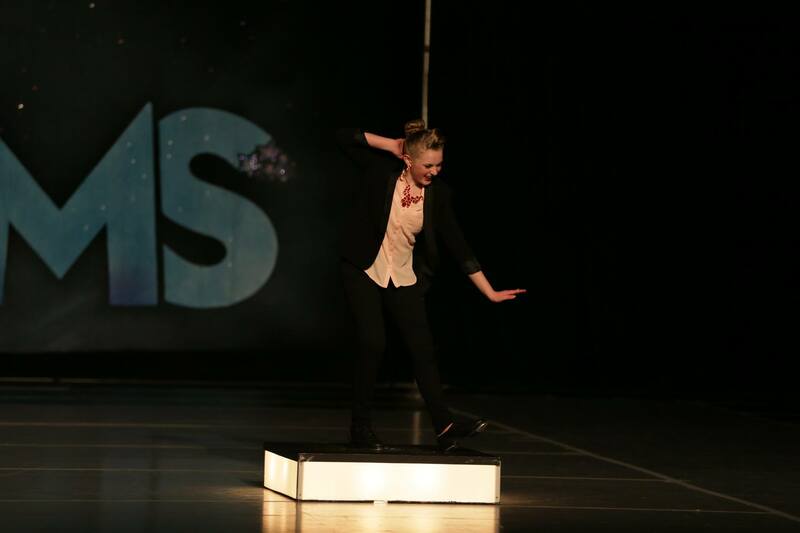 Last year, we watched the finalists at StarQuest, and were amazed at the dancing! It was a bit scary to think my daughter, a first time soloist, was going to be competing against the likes of those dancers. I tried really hard not to show her how nervous I was for her. She had worked hard, and I knew she was ready. Still, every possible “what if” goes through your head when you are watching your kid do something for the first time. On facebook, I saw a picture that said “Dance like no one is watching… ’cause they’re not… they’re busy checking their phones.” She and I had a good laugh about that! I told her it didn’t matter how she placed, as long as she did her best. They stayed mostly on schedule. I was surprised a few times when they would have to call dancers over the loud speaker, or say, “We are skipping ahead because no one else is checked in.” I couldn’t tell if it was the studios that weren’t as organized, or if it was the competition company. Maybe that’s just typical of some of the smaller competitions. Things mostly flowed pretty well though. When Grace went on stage, she gave it her all! She has an amazing prop that lights up. For a second, it didn’t go on. At the same time, she started doing a different part of her dance (which I didn’t realized until she told me afterwards)… She stopped on top of the box for a split second, stomped, and at that second, the box lit up, and she kept going. If her face hadn’t showed that she had “messed up”, it easily could have just been part of the dance. What’s funny, is that she didn’t even know the box didn’t light up… Oh well, mistakes happen. She did so well!! I was very proud of her! A few dances after Grace, her friend Paige from her dance team went. Paige’s dance is a jazz dance, in which she makes flexibility look easy! A few dances after that, Ali (their dance teacher’s daughter) went. She did a jazz dance that exudes power. Finally, of the dancers we knew, Niki, from Grace and Paige’s dance team went. She performed a beautiful lyrical piece! 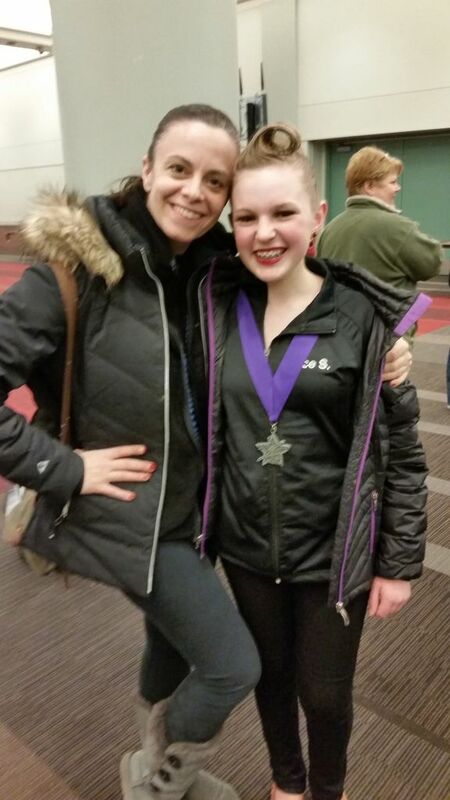 Grace with her dance teacher and choreographer, Maria. We waited until awards, which were pretty much right on time. We were all SO excited to hear Grace got a platinum score! Paige got an Elite High Gold score, Ali and Niki both got platinum. Ali has been competing at the Elite Level for quite a while, and it was no surprise to any of us that she got platinum and 9th overall (out of 62 dances). The other three have never competed Elite. We were all thrilled by their wonderful results! I was surprised there were no “extra” or “Judges’ Awards” given during the awards ceremony. No costume or choreography awards were given either. Maybe they only do those for large group dances? Anyway, this was a great start to the competition season. I can’t wait for the next one!